Taj Mahal is located on the banks of Yamuna River in Agra, Uttar Pradesh, India. This UNESCO World Heritage Site is among the Seven Wonders of the World. It was built by Mughal Emperor Shah Jahan in the memory of his loving Queen Mumtaz Mahal. Mumtaz died at the age of 37 due to labor pains while giving birth to the 14th child of Shah Jahan. Taj Mahal is considered as a symbol of love and graves of Mumtaz Mahal and Shah Jahan is in Taj Mahal. Check Taj Mahal timing, entry rules, entry fee and information in this post. Taj Mahal is known as world’s most spectacular monument. The Taj complex is spread in 42 acres of Land. Taj Mahal and its four minarets are built with white marble. It is covered with walls on three sides and in the back of the Taj Yamuna River is flowing. 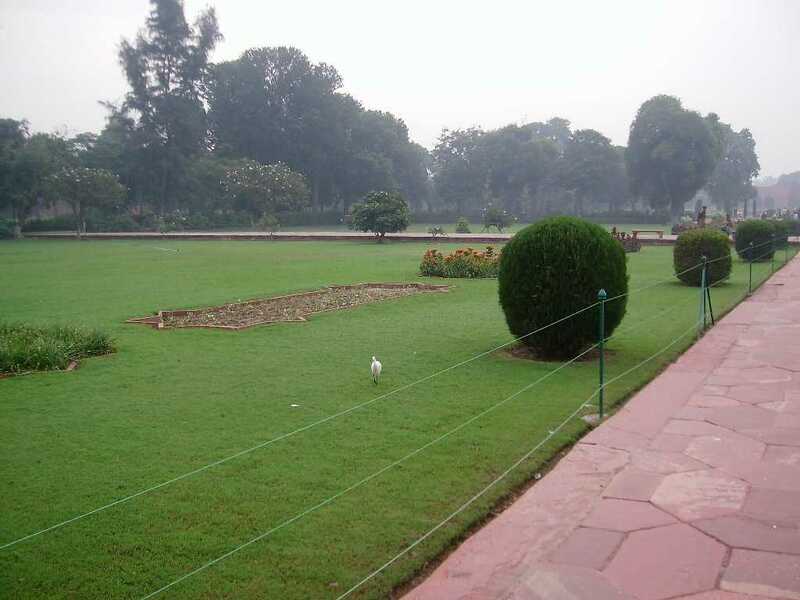 There are three entry gates in and Taj complex has lush green lawns and water fountains. Let’s check some informative facts. Taj Mahal timings are Morning to evening. It remains open on all day of the week except Friday from Sunrise to Sunset. It opens on Fridays only for attending prayers at the Taj mosque for local residents. A mosque is located inside the Taj complex. The opening time is sunrise and closing time is sunset. Taj Mahal is also open for 5 nights during full moon. Taj Mahal opens on full moon night and two days after and before the full moon night. At night only 400 visitors are allowed inside the Taj Mahal in the batch of 50 people. 400 visitors are divided into 8 batches of 50 tourists. Night timings for Taj Mahal are from 8.30 PM to 12.30 AM and only 30 minutes time frame is allowed for a night visit. Night visit is not allowed on Friday and during the holy month of Ramadan. In day visitors can spend the whole day on a single ticket. Two hours visit is sufficient enough in daytime to see the beauty of Taj. Visiting hours of Taj Mahal are depended on the time of the visit (Day or Night). The ticket price of Taj increased recently. The Taj Mahal entry fee is 40 Rs for Indian visitors and 1000 Rs for Foreign tourists. Children below 15 years of age are free from entry ticket. Citizens of SAARC and BIMSTEC Countries need to pay Rs 530 as an entry fee of Taj. For Night visit Indian have to pay 510 Rs and foreigners have to pay 750 Rs for an entry pass. Child from 3 to 15 years of Indian and foreigners has to purchase entry tickets of 500 Rs to watch the magnificent beauty of Taj in Night. Kids under 3 years are eligible for free entry. Taj Mahal entry fee on full moon night is written below. The ticket for night visit needs to be booked one day in advance from the office of the Archeological Survey of India counter. The counter is located at 22 The Mall, Agra, and timing is 10:00 AM to 6:00 PM. Day tickets are available at all the entry gates of Taj Mahal from sunrise to sunset except Southern gate where ticketing time is from 8 AM to 5PM. On Eastern gate tickets are available 750 meters far in Shilpgram. So, West Gate is good for entry in Taj. Visitors can also purchase the entry tickets in advance via online mode by clicking here. A Government Identity proof number or Passport number needed to be filled at the time of online booking. I checked the Taj Mahal ticket for NRI on multiple travel sites and did not get any sound information on ticket rates. October to March is considered as the best time to visit the monument of love when the weather is pleasant and the temperature is low. Taj Mahal changes colour with every passing hour of the day and night. In the month of summers when the temperature is generally very high, visitors can see the beautiful Taj at sunrise and sunset. Visitors who are planning to watch Taj at night might get upset in the month of winters due to heavy fog in the region. Heavy fog in winters can hamper the view of Taj in full moon night, the fog might block the moonlight which increases the beauty of Taj in the night. For night visit summer months are considered best. 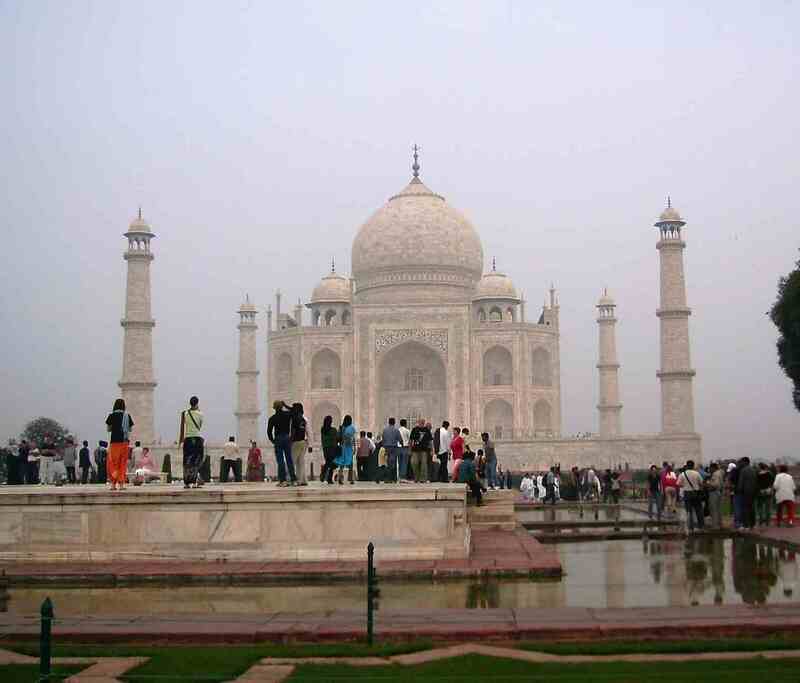 Taj Mahal is located in Agra and Agra is around 200 KM away from New Delhi, capital city of India. Agra has good road, rail and limited air connectivity. By Air: Agra airport is around 14 KM away from Taj Mahal and Agra airport has no international flight facility. 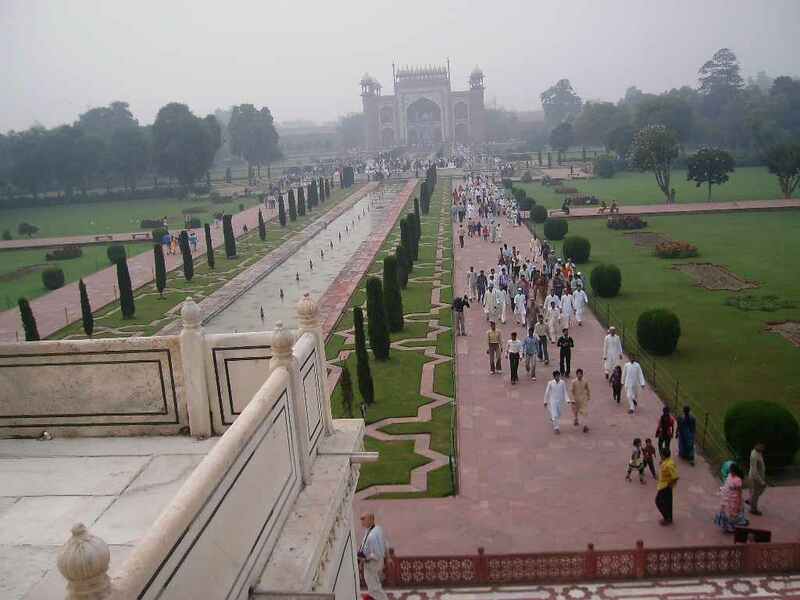 Tourist can book Agra flight tickets from Delhi. By Train: Agra is well connected from every part of the country by rail network and most of the trains stop at Agra station. Agra has three railway stations: Agra Cantonment, Agra Fort and Raja ki Mandi. The Agra Cantt railway station is the nearest to Taj and most of the trains are also stops at this station. Tourist can book train tickets to Agra in Mail, Express, Shatabdi and Rajdhani trains as per their convenience. By Road: Tourist can reach Agra by road also, Agra is well connected from all major cities of the country through several Highways. From Delhi, visitors can take Yamuna Expressway or National Highway 2 to reach Agra. State transport and private luxury buses are available round the clock from the Agra. Local Transport: In Agra visitors can take the bus service, auto, tempo and cycle rickshaw to reach the Taj. After the visit of Taj, travelers can also visit the Agra Fort, Dayal Bagh, Tomb of Itimad-ud-Daulah, Sheesh Mahal, Mehtab Bagh and Jama Masjid. 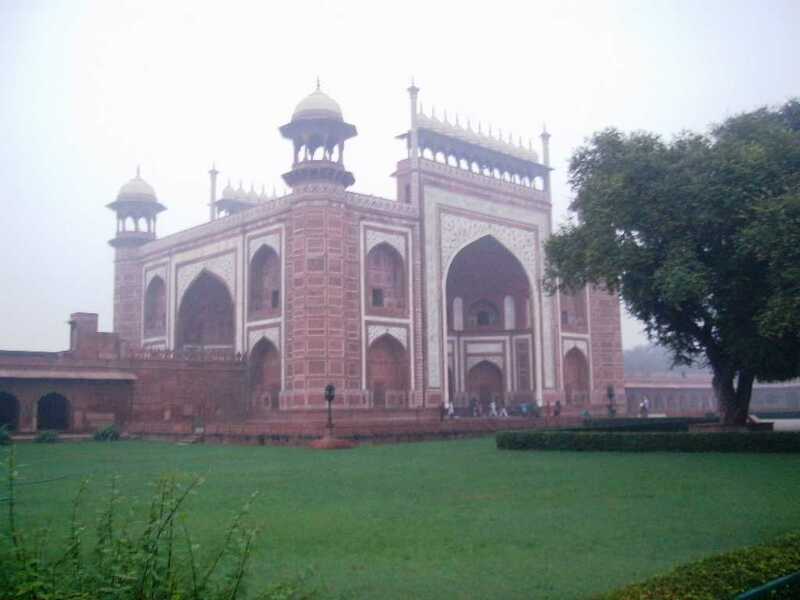 Fateh Pur Sikri fort and Buland Darwaza are also worth to visit after Agra tour.